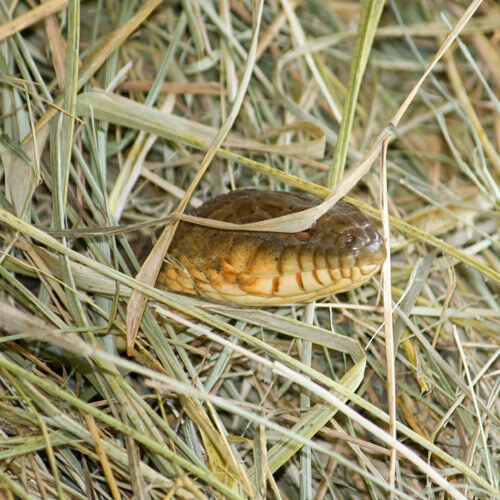 But when I went to get hay and saw this coming out of a roll of hay, I was a bit startled – and definitely NOT thrilled, even though this is a not a venomous snake. A few years back, Dave was working on a cabin that was so far back off the beaten trail that they were working with generators – no electricity, no plumbing. On a break out back, one of the carpenters came upon an unusual sight. The owner got pictures and was kind enough to send me a few. 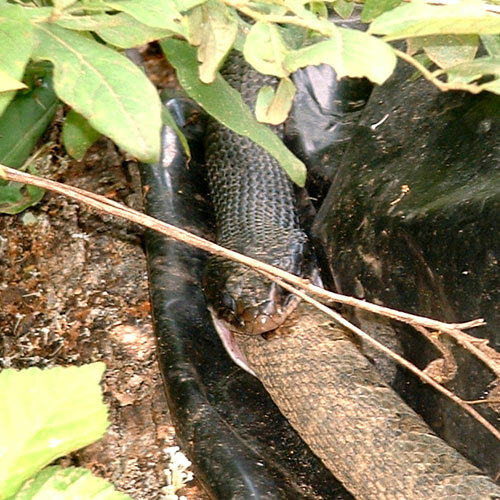 This is a black snake swallowing a copperhead. The snakes were nearly equal in length and Dave tells me the process took all day. I love my black snakes!!! I think this snake is more properly called a rat snake. Whatever you call them, I am happy to see them around. Especially after Maggie, my Great Dane, and a ram lamb both suffered copperhead bites a few years back. I rushed Maggie to the vet, only to find out that the vets don’t consider copperhead bites to be much of an emergency. The receptionist said “yep, looks like a snake bite” and I waited an hour for the vet. The vet says it’s right up there with a wasp sting – and maybe not as bad as a Japanese Hornet sting. Maggie was treated with an antibiotic and benadryl. The ram lamb recovered with a couple of doses of benadryl. Still – I’m not excited to see copperheads around and we’ve killed three this year that were in our space. Rattlesnakes have a different toxin than copperheads, by the way, so just benadryl isn’t going to work. 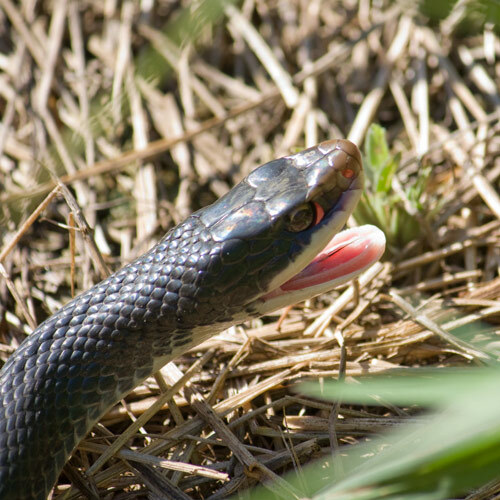 This rat snake was getting really tired of me chasing him/her around with my camera! I’m glad I live in a part of the Rockies were there are NO poisonous snakes. If I lived there, I would be investing in black snakes for sure. Every time I dig in my hay bales, I hold my breath! I’ve killed one copperhead up here in 8 years and that’s enough for me. I pick up black and rat snakes and carry them away simply because they get into my chickens’ nest boxes and/or eat my biddies. People ’round here have always said that black/rat snakes keep copperheads away, but I’d decided I didn’t believe them. Now, I’m swayed back to being a believer! Thanks for the shots!